In January The White Hart Inn set up a Charity Group in the pub called “Ireland’s Fittest Pub”. With the recession hurting everyone they noticed a large amount of customers were taking to the road running and cycling to keep their minds occupied during loss of work or less hours and they thought they could possibly use all this extra enthusiasm do some good for those in need in these hard times. Hence the Charity Group “Ireland’s Fittest Pub” was set up. 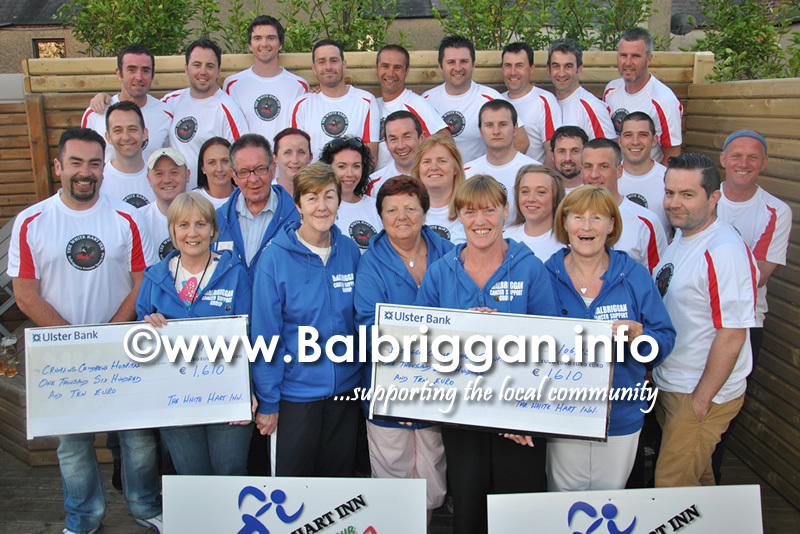 Since the start up of Balbriggan Cancer Support Group in 2011 The White Hart Inn have become one of their main sponsors and have helped in various events and sponsorship for them. 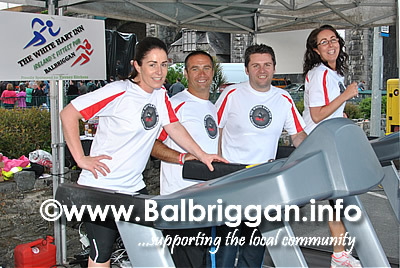 The groups first ‘Ireland’s Fittest Pub’ event was the Balbriggan Cancer Support Group’s St Patrick’s Day 10k and Half Marathon where they managed to get over 30 customers sign to up and take part in the event. 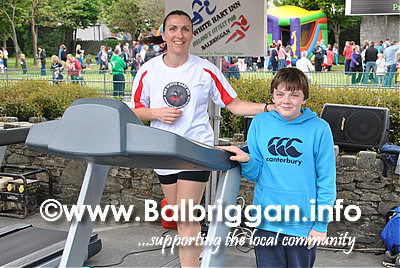 Their latest event was the 24 hour charity treadmill run which was part of Balbriggan’s Summerfest Festival on the June bank holiday weekend. Forty eight runners took part with each of them running for half an hour consecutively over the 24 hours period from 7:00pm Friday 31st May to 7:00pm Saturday 1st June. 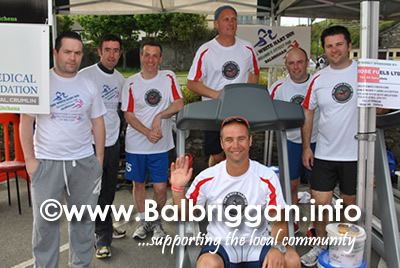 The Charity Thread mill run was a fantastic success and the group raised a total of €3,220. Monies were collected during the 24 hours from passers-by and from the fourty eight participants. Two charities will now benefit from the proceeds – The Balbriggan Cancer Support Group and The Medical and Research Foundation Crumlin both of which received €1,610. A BIG well done to everyone who took part!